For those of you who live in the areas recently touched by hurricane Irma, I hope this newsletter finds you safe and in good health. Irma’s impacts were widely varied. For some it was dramatic and life changing, like having a tree fall on your house, or being flooded, and for others it was an inconvenience. And for others it may have been more labor intensive, like cleaning the debris from your backyard or mopping up water. I personally feel very fortunate and blessed that I never lost electricity or had any water damage. My only inconvenience was the challenge of living without cable TV, internet and my landline for five days (which are all tied into my cable package). The same thing happened to me when Matthew paid us a visit last October. Although I was out of touch with the outside world and the news to a certain extent during the storm and the loss of my internet and cable, I continued to be mindful of what was going on with the planets. I was and continue to be connected to the lunar cycle. I was especially concerned that the intense Category 5 hurricane was preparing for landfall as we were approaching the full moon on the 6th and kept her destructive force until the 9th when the intensity began to wind down. The good news is that we are currently in the waning days of the lunar cycle and people who live in the wake of Irma’s path are beginning to put their lives back together again. The waning phase of the moon is when we want to plan and think about what we want to start new. Think about what intentions you want to set with the new moon, which will be September 20th @ 1:30am est. The new moon is an excellent time to plant the seeds and set your intentions for that which you want to attract into your life. Take out a piece of paper and pen and write them down on the day of the new moon. If you have already been in the practice of doing this, take out your list and revisit it. Revise it if necessary. Give it life. Give it energy to manifest. Meditate with it. How badly do you want it to become reality for your? What is your hearts desire? The Farmer’s Almanac refers to the new moon as the time to plant the seed. And the full moon is the time to harvest that which you have planted. If you were born with your sun or moon in Virgo this is an especially important time for you to set your intentions. So what has been on your mind? What are your intentions? Please feel free to contact me if you have any questions or would like to schedule a private coaching session. I always enjoy hearing from you. For more daily star-tracking information, I invite you to “like” and follow me on Facebook. Have you been wondering how a private astrological coaching session with Kelly might help you? Reading my newsletters are a great way to get a broad sense of how the moon phases, eclipses, or other general planetary aspects are affecting your life. But if you want to make it personal and get into what is truly impacting you at this time in your life, it is best to utilize your personal astrological chart. Scheduling a reading with me will help you to plan and prepare in areas of your life that are being highlighted or may answer questions that you have about certain themes, struggles, or celebrations that are weaving through your work, relationships, health and personal goals. Treat yourself to the gift of astrology and chart a course for optimal living. Email me or give me a call today! Did You Know That My Book is Available on My Website? the scenes of the astrological community, while explaining many of the most interesting astrological principles. 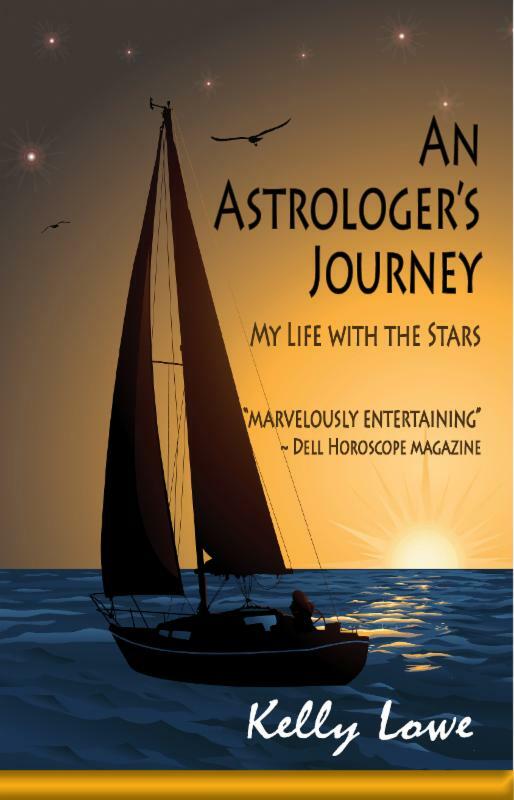 A few pages introduce the language of astrology, and then her story begins with her first astrology reading, an event that changed her life. After you read the section on the Jupiter connection, you’ll want to compare the position of your Sun Jupiter on your partner’s Sun Jupiter. This combination – one person’s Jupiter on the other’s Sun – is like having a Guardian Angel. It’s a magical connection that enhances your personal and professional life, so that you often feel uplifted and motivated when this person is around.